real aircraft. I copied all his markings right down to his name, he was very impressed. I will be calling soon for some graphics for my new Avonds F-16. Thanks again." 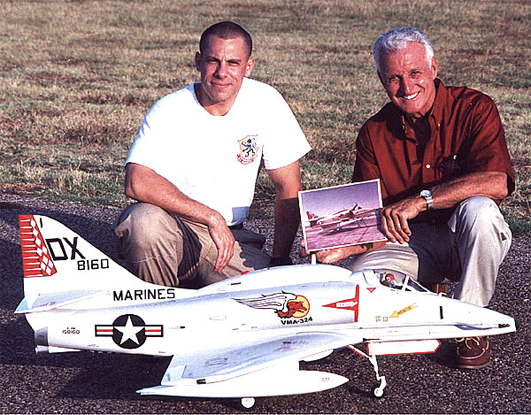 Original pilot George Ertlmeier with Michael Lavergne and his A-4M. Graphics by Pro-Mark. Anthony Pansini's award winning Texan, Staten Island, NY. "Best of Show" in our static competition. 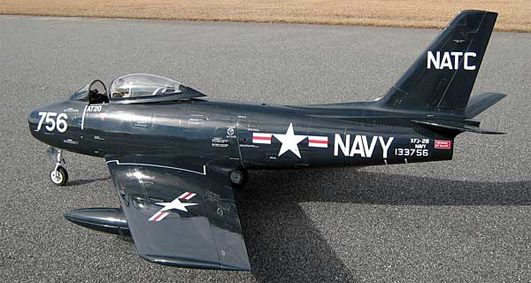 There are over 12,000 "rivets" on the model. Joe Rafalowski rebuilt this BVM 80" Sabre for a customer. Beautiful job! Graphics from Pro-Mark. 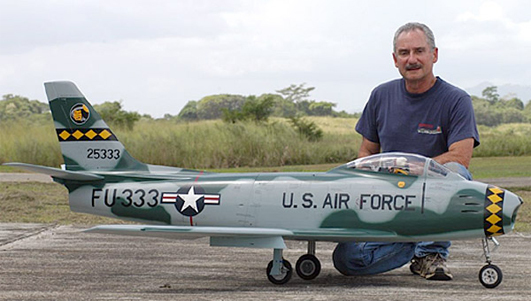 Jack Diaz and his BVM F-86 with graphics from Pro-Mark. 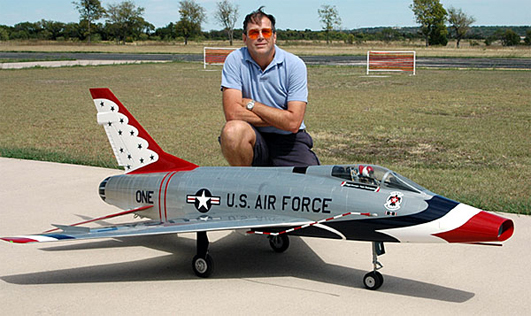 Steve Ellzey and his Thunderbirds BVM F-100 with graphics from Pro-Mark. 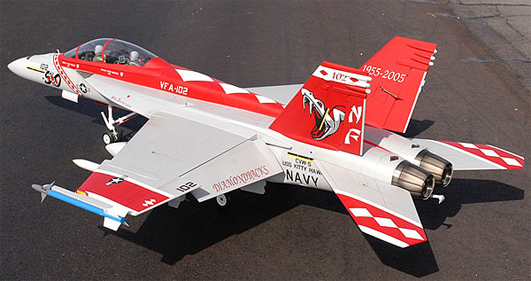 Tam Nguyen's Beautiful 50th Anniversary Diamondback F-18 using Pro-Mark graphics! 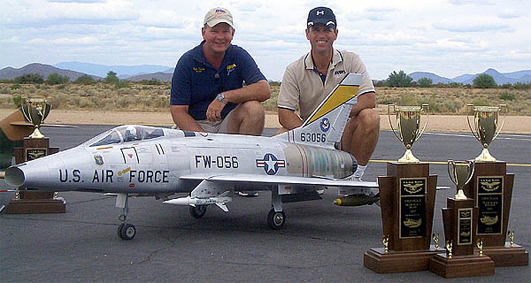 combination with their BVM F-100 at Scale Masters. 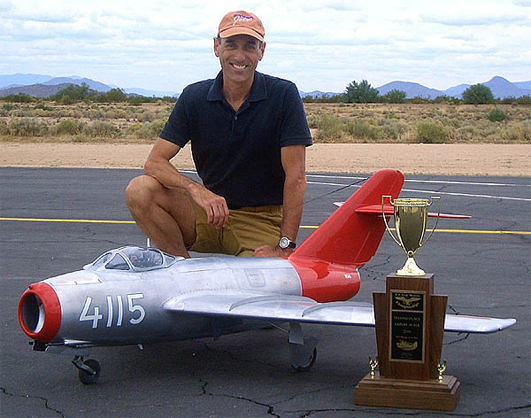 Steve Unze & his Scale Master winning BVM Mig 15.